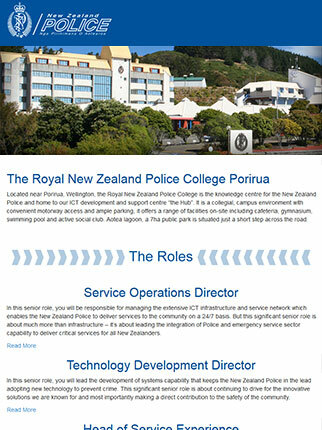 The New Zealand Police were recruiting some highly senior-level roles to manage particular areas of their ICT department. To advertise the three roles together, they needed a landing page to generate interest in the Police’s work in the ICT space and encourage their target audience to apply. So, working with recruitment advertising agency Haines Attract, we had to consider what would make senior-level management folk want to work for the Police. What would excite them? What would get them to apply for this role? 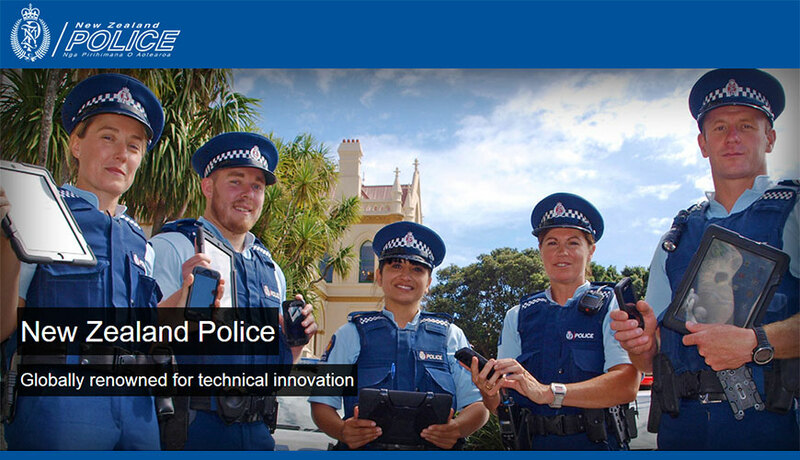 The New Zealand Police are leading the way worldwide in implementing technology, especially mobile technology, that helps their front-line staff police more efficiently. And so we decided that the key driver would be to have involvement in such a forward-thinking organisation that exists for the benefit of the community. There’s certainly an appeal to people’s sense of altruism, with a clear sense of the benefits to them – have your name on something that’s seriously innovative AND be able to say it’s for the good of New Zealand society. Both the New Zealand Police and HainesAttract were very happy with the copy. Initially the brief was to give key information about the roles, but in the end the full copy for the role advertisements was used, so that potential candidates had plenty of information on the benefits of bringing their ICT skills and expertise to the New Zealand Police. The copy managed to exceed the New Zealand Police’s expectations for the number of applicants they received. They were able to put together a good-sized shortlist of well-qualified candidates, giving them plenty of choice when it came time to fill the positions.